Known as the “Son of Assam”, Bhupen Hazarika was the singer of the masses with the mission to change society through his songs and films. His songs had one theme, one purpose - that of mankind and humanity. Hazarika’s songs have been translated into several languages, notably in Bengali and Hindi. The songs of Bhupen Hazarika are also famous in Bangladesh. He was posthumously awarded the Padma Vibhushan, India’s second highest civilian honour in 2012. Bhupen Hazarika was born on September 8, 1926 at Sadiya in Assam. He was born to Nilakanta and Shantipriya Hazarika. Hazarika was the eldest of the ten siblings. Hazarika was exposed to music by his mother through lullabies and traditional Assamese music. Hazarika spent his early childhood in Bharalumukh in Assam. Hazarika’s singing talent was discovered by filmmaker Jyoti Prasad Agrawal and singer Vishnu Prasad Rabha when at the age of ten years the singer sang a ‘borgeet’ at a function at Tejpur in Assam. Bhupen Hazarika recorded his first song at Kolkata at Aurora studio for the Selona Company in 1936. Hazarika’s accompaniment with the two icons of Assam marked his cultural beginnings. Bhupen Hazarika received his early education at Sonaram High school at Guwahati. He matriculated from Tezpur High School in 1940. He completed higher secondary from Cotton College in 1942. Hazarika did his graduation from Banaras Hindu University in 1944 and post graduation from Banaras Hindu University itself in 1946. Hazarika earned a PhD from Columbia University in 1952. While at Columbia University he met Priyambada Patel. They got married in 1950. Tez Hazarika is the only son of Bhupen Hazarika. Hazarika was associated with film director Kalpana Lajmi. Together they made ‘Ek Pal’ in 1986. Lajmi assisted Hazarika professionally and personally till the end of his life. Hazarika also entered politics, however, lost the 2004 Lok Sabha Elections from the Guwahati constituency. At the age of ten years Bhupen Hazarika sang ‘borgeet’ at a function at Tezpur. His performance was noticed by Jyoti Prasad Agrawal and Vishnu Prasad Rabha.Hazarika sang two songs in Agarwala’s film Indramalati - “Koxote Kolosi Loi” and “Biswo Bijoyi Naujawan”. The “son of Assam” wrote his first song “Agnijugor Firingoti Moi” at the age of 13. Hazarika recorded his first song in Kolkata at Aurora studio for the Selona Company in 1936. Hazarika’s accompaniment with the two icons of Assam marked his cultural beginnings. Hazarika became the secretary of the Reception Committee of the Third All Assam Conference of IPTA, held at Guwahati in 1955. With Kalpana Lajmi Hazarika made the film ‘Ek Pal’ in 1986. He was also associated with the films like ‘Rudali’ and ‘Daman’. Hazarika worked for a brief period at All India Radio, Guwahati. He was a teacher at the Guwahati University also. Hazarika was elected the President of the Assam Sahitya Sabha in 1993. Bhupen Hazarika is known as a lyricist, musician and singer. Hazarika wrote, composed and sang his own songs. The songs were sung mainly in the Assamese language. The theme of his songs was based on universal brotherhood and humanity, universal justice, empathy. Hazarika is known for his baritone voice and diction. Some of the music of Hazarika was the adaptation of American Black Spiritual that he learned from Paul Robenson whom he befriended in New York. Hazarika derived happily from folklore for his craft. He composed anti establishment songs. Some of his most popular songs “bistirno dupare” based on Paul Robenson’s “Ol Man River” reflects the agony of the Ganga which has been witness to poverty and oppression through the ages. His humanist song “Manuhe Manuhor Babe” translated into Bengali got Hazarika recognition across the world. His “Dil Hoom Hoom Kare” and “Dola” gave the musician the much recognition he desired for. Hazarika produced, directed, composed music and sang for Assamese films like ‘Era Bator Sur’, ‘Shakuntala’, ‘Loti Ghoti’, ‘Pratidhwani’, ‘Chick Mick Bijuli’, ‘Swikarokti’ and ‘Siraj’. Bhupen Hazarika’s famous Hindi films include ‘Rudali’, ‘Ek Pal’, ‘Darmiyaan’, ‘Daman’, ‘Kyon’, ‘Papiha’, ‘Saaz’, ‘Mil Gayi Manzil Mujhe’, and ‘Gajagamini’. He also lent voice to the film ‘Gandhi to Hitler’, where he sang Mahatma Gandhi’s favourite “Vaishnav Jan”. Hazarika took his last breath on November 5, 2011. He died of multiple organ failure. His body was cremated near the Brahmaputra River. An estimated half a million people attended the funeral of Hazarika. Bhupen Hazarika was the recipient of several awards, including international honour. The musician received the National Film Awards for best Music Direction for the film ‘Chameli Memsaab’ in 1976. He received the President’s Medal for his film ‘Shakuntala’, ‘Pratidhwani’ and ‘Loti Ghoti’, in 1977.Hazarika received the Padma Shree. In 1987 he received Sangeet Natak Akademi Award. In 1992 he received the Dadasaheb Phalke Award. In 1993 the musician became the first Indian to win the Best Music for the film ‘Rudali’ at the Asia pacific International Film Festival in Japan. In 2001 Hazarika received the Padma Bhushan. He was also a member of the Assam Film Development Council and the Central Board of film Certification. In 2003 he was appointed member of the Prasar Bharti. In 2009 he received the Asom Ratna - the highest civilian award in the state of Assam. The Government of Bangladesh has honoured him with “The Muktijodha Award” posthumously. In 2012 he was conferred with the Padma Vibhushan. 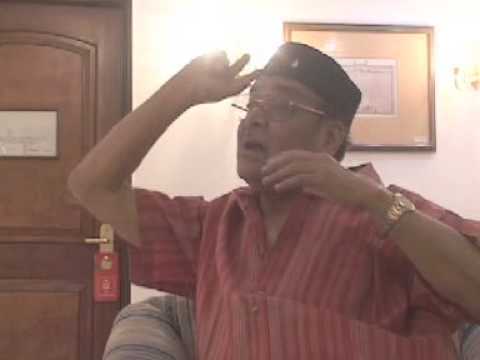 "Bhupen Hazarika passes away ! A musician of many talents and what a voice .. prayers and condolences !!" 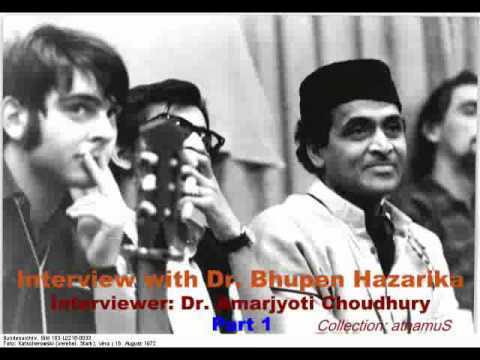 "After Jagjit Singh, India has lost another musical wonder, RIP Bhupen Hazarika. The man who gave us 'Dil Hoom Hoom Kare' from Rudaali, truly our hearts recite this song with grief today." "Sorry to learn about bhupen hazarika. His was a unique voice and he wrote lyrics using Assam's folk music as an instrument of social change.."
"Dr. Bhupen Hazarika's music was unusual and haunting and so was his singing. Great person. Warm, compassionate and helpful. Will miss him." "Bhupen Hazarika.Assamese music super star & legend . *Dil Hoom Homm Kare, Ghabaraye* 1 song of his that I used to hum in my bachpan . #RIP."